I really thought I didn't need any more Japanese Craft Books until the second I walked into Kinokuniya and then of course I needed to buy a few (ok my backpack came home full of them). 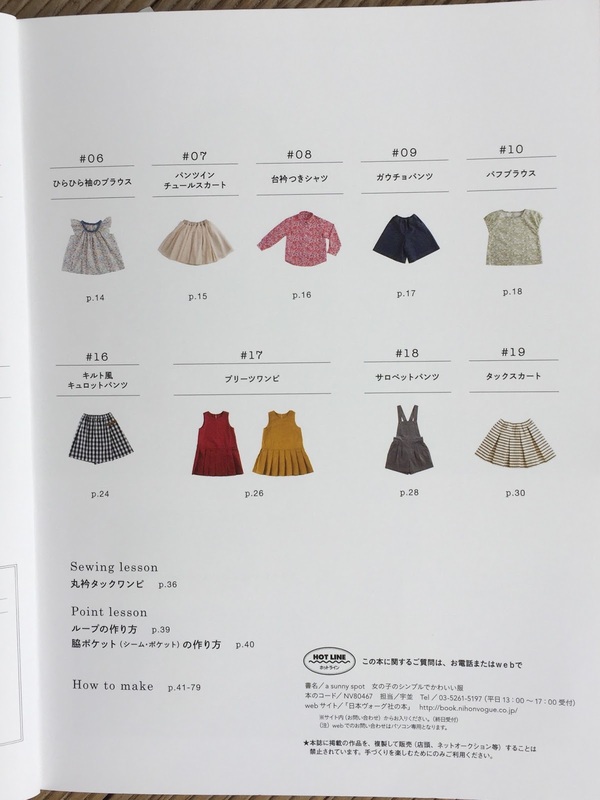 I bought two children's sewing books. 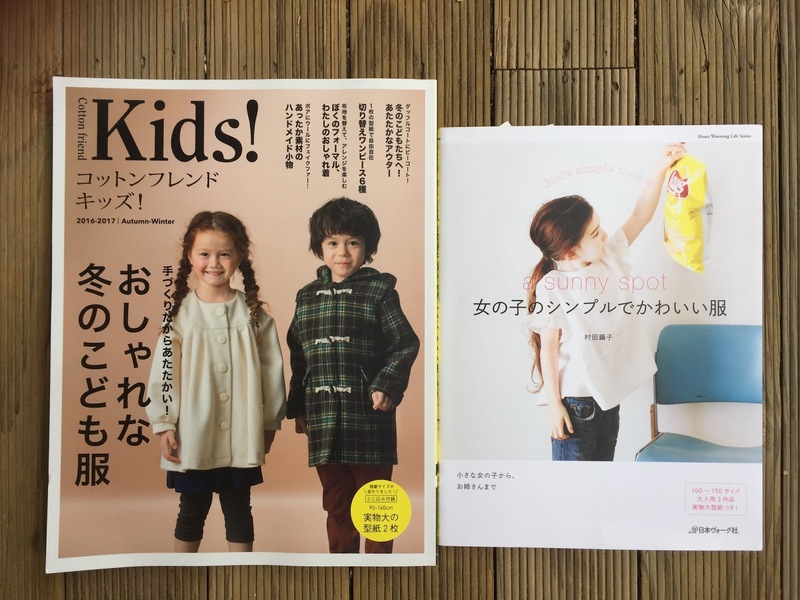 The first on the left is Cotton Friend Kids - Autumn-Winter 2016-2017 (ISBN 9784834743036). The sizes range from 90-140 cm and a cute selection of coats, dresses and accessories. I'd really like to make one of the coats next winter. 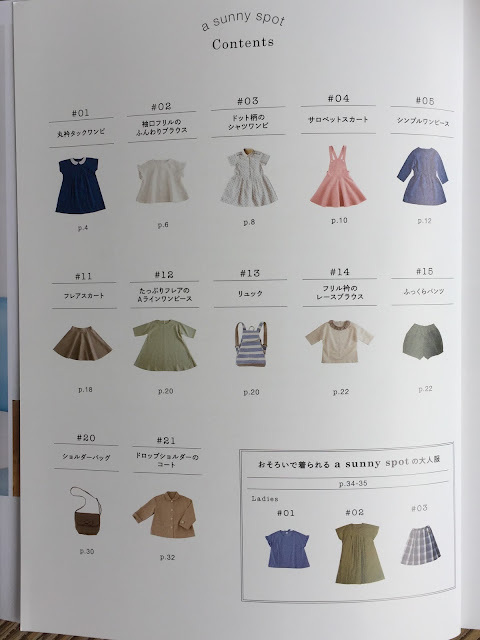 The second book (on the right in the top photo) is A Sunny Spot - Girl's Simple Clothes (ISBN 9784529054607). The sizes range from 100-150cm. I'm not sure my big girls will want anything out of here, but Olive has pointed out a few things she wants. Of course it all has to be in pink.